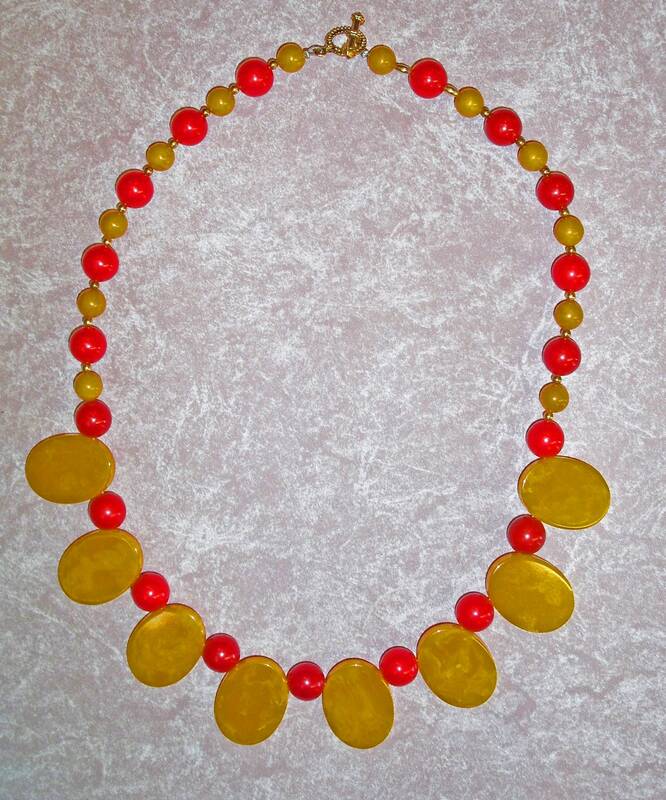 Large oval pineapple bakelite discs alternate with cherry red bakelite beads create a strikingly beautiful necklace. 20 inches long, this necklace has been professionally restrung and has an easy sturdy toggle clasp to make it very wearable, very desirable color combination. Very comfortable attractive length. Lovely layered with other bakelite necklaces to create a statement!